Using Yoti as a force for social good is just as important to us as helping people get into nightclubs and prove their identity to businesses. It’s why we’ve partnered with NSPCC and the Internet Watch Foundation (IWF) to create a tool that helps young people report and remove sexual online images of themselves. For the first time, people as young as 13 years old can anonymously report damaging images of themselves, and have them removed. Anyone wanting to report an image through Childline needs to create a Yoti account. The app is free and typically takes less than five minutes to set up. Take a photo of yourself and add it to your account. Add your phone number and enter the verification code we send you via SMS. Add your fingerprint and a PIN to protect access to your Yoti. Record yourself saying three randomly generated words to prove you’re a real person. And lastly, add a form of photo ID, like your passport or driving licence. When your details have been verified, we encrypt them and store them safely in your phone. From this point, you, and only you, hold the key to access or use your data. Even we can’t see your personal details. 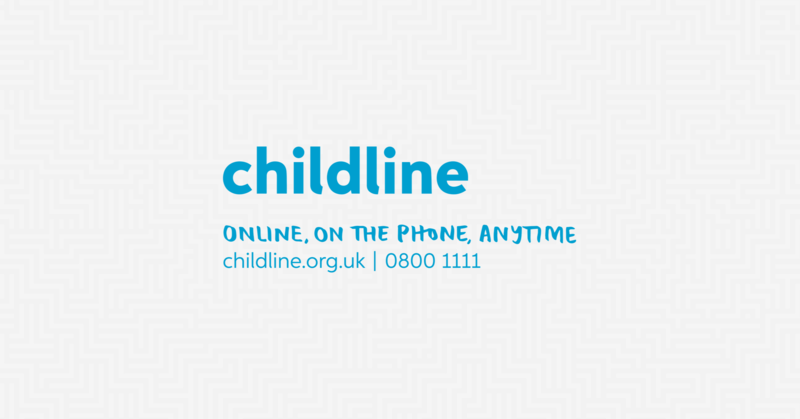 Now that you’re ready to make a report, just go to the Childline page and scan the QR code using your Yoti app. By using your ‘-18’ personal attribute stored in your Yoti, you can prove you are under 18 without even sharing your date of birth. It means you only share the necessary personal details; protecting your identity and keeping your data private. Until now, a young person wanting to report an online sexual image or video of themselves had to prove their identity by sending a scan of their passport. In such a sensitive and potentially dangerous situation, this is less than ideal. The issue is much more widespread than most people want to believe. New research found that one in seven teens are sending sexually explicit images of themselves to peers. The same study also suggests that 12.5% of teens are sharing sexual images of others without their consent. Knowing that sexually explicit images of themselves are circulating online can be devastating for the victim. Our hope is that in partnership with NSPCC and the IWF, we can make a difference. “Through our work together we hope to help thousands of vulnerable young people who may want to remove a sexual image of themselves from online”, said NSPCC. “Working with Yoti has helped us to address a major hurdle we have in validating young people’s age online."